Our weddings are complete - beginning to end capturing every moment, every emotion without rush or set schedules. 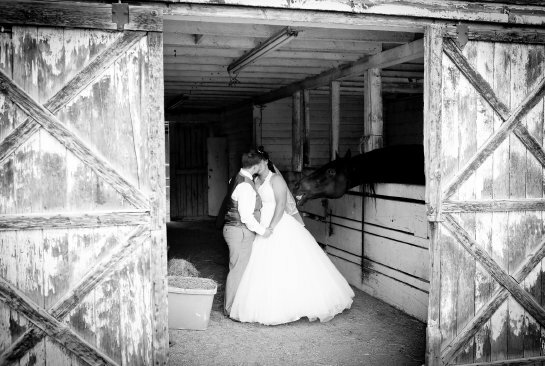 Our job is to take away the stress so your photos are beautiful and timeless. We will try our best for you. Ok - let's start here: Wedding videos are very labor intensive, intricate, time consuming and take a long time produce. A 20 minute video of your wedding took a videographer about 60 hours to produce - 60 hours! So their margins are very thin by the time they are done working for you. SIMPLE - Just the basics that shows what happened at each stage of your wedding. Usually this video consists of one or two cameras on a tripod filming away - not the greatest in creativity. These videos cost between $1000 and $1500. NORMAL - JUST RIGHT - Which is more labor-demanding and requires all kinds of additional equipment, a story plan beforehand, panning, and zooming and actual movement of the camera to capture beautiful scenes. This video will give you interviews with guests, cuts to different angles, smooth music transitions and a consistent mood and tone throughout. This video costs between $2500 and $4000. Worth it. Then there is the "video production" - a beautifully shot and executed and produced mini film of your wedding day that requires a lot of setup, a lot of equipment, a lot of staff, a lot of planning, storyboards, direction and the full cooperation of the bride and groom... The end result is amazing. It would start with footage of your normal life, maybe the interaction with each of your families, the story of your engagement and your love and transition into your wedding and maybe a bit after it. This video costs between $6000 and $10,000. When done well - SO WORTH IT! And it begs the question: Do we need photography at this point? So the decision is yours - a video that is just a video to keep in a drawer and watch 2 times in the next two years? Or a film that is very expensive but delivers emotion and a lifetime of joy? Or something in between that gives you a little of both but still sets you back a few thousand dollars. Whatever you do, don't be scandalized at the cost - these video guys when good, are artists and know their stuff and they are worth the price. And lastly - photography and videography are VERY DIFFERENT, a great photographer is not necessarily a great videographer and vice versa. Don't hire a photographer "because they also do video" it is usually not a great idea. Some videography places hire "contractors" to do photography for them - always a bad idea as they can't control the work or the output. AS A MATTER OF FACT - ANY vendor that provide multi services is usually great at the core service (DJ for example) but terrible at video, or cake-making or photography. This is guaranteed. All they do is hire contractors, pay them $200 and keep the rest of the money - hoping they can put something together for you to feel like you hired three great vendors - you didn't. Are you more confused than before you started to read?